In order to leverage the full benefits of marketing, it is important to have a documented marketing plan. Marketing is an essential part of a business, serving as the backbone of all a company’s growth endeavors. It has the potential to take a business to great heights in the least amount of time possible. According to an industry survey, marketers who have a documented marketing strategy have a greater chance of succeeding than people who do not. A well-documented marketing plan will define the parameters you use to evaluate the success of your marketing campaign. Also, having a documented strategy makes your efforts clear and ensures that the marketing team has a defined aim and direction. But instead of looking at this plan as a rigid document, businesses should adopt a flexible approach towards it. Once you have created it, you should review your marketing plan and improve it at periodic intervals. Doing so will give you the maximum amount of success from your marketing campaigns. Your marketing plan is a dynamic document that requires continuous changes and improvements. It is essential to keep the plan up to date with recent world developments and to realign your goals with new market conditions. Because marketing focuses on attracting potential customers, human nature (which is changeable) affects it. Other factors, such as shifting demand, preferences, and the rising popularity of new marketing mediums, impact it as well. So before drafting your next marketing plan, adopt and adapt some of the tactics listed below. These strategies are working for others and will make your plan a success. An industry survey revealed that when it comes to customer behaviors across devices, only 39% of marketing executives understand their potential clients. This situation is a result of these executives’ lack of knowledge about their customers. While drafting a fresh marketing plan, you should definitely revisit ideal customer personas. It is important to identify the changing behavior of customers over time. You need to include new customer profiles in your plan. Every business changes its product offerings from time to time, making itself more relevant to a larger audience. Accurate customer personas will help businesses develop long-term connections with prospective customers and nurture these relationships, leading to business growth. Nowadays, shoppers are choosers. With growing digital literacy and the pervasiveness of the internet, buyers tend to know more about a brand before making a purchase. 81% of buyers agree that they conduct online research before actually purchasing something. A business can conduct local surveys or reach out to existing customers. This strategy will help companies understand why customers like to purchase from them. It will also show brands what motivates buyers to choose one of their competitors. And businesses can use the power of the internet to interact with customers in real time. Companies can understand what clicks with their existing customers and what has the potential to attract their target audiences. Businesses can then frame and highlight USPs (unique selling points) across all of their marketing campaigns for the greatest impact. In a crowded market, it is essential for companies to identify and highlight key brand differentiators. Doing so helps them to strengthen their identities among their competitors, as well as to attract new customers. A focused marketing calendar will help you to achieve marketing goals on time. Also, time tracking and proper analytics with well-defined metrics can help you align theoretical goals with practical actions. You can prepare your calendar to plan for content marketing, social media marketing, and lead generation activities. You can also plan for other ATL (Above the Line) and BTL (Below the Line) activities in order to have a comprehensive marketing schedule. Having a marketing calendar ensures that you do not miss any marketing opportunity. A calendar streamlines every activity so you can satisfy the goals you outlined in your marketing plan. A multi-dimensional marketing calendar helps businesses take care of a variety of marketing activities concurrently. Also, having a time-tracked and goal-oriented calendar helps you to properly review activities and identify areas for improvement. Point-of-purchase marketing is an excellent option that can influence buyers in your favor when they are about to make a marketing decision. Almost 64% of buyers in the middle of unplanned purchases switch brands when they find an in-store deal on another product. Point-of-purchase marketing aims to change buyer decisions on the spot by using in-store marketing activities, such as product displays, coupon distributions, and shelf talkers. This tactic can really boost sales by impacting the minds of shoppers who are already going to purchase a product in a similar category. According to a survey, 92% of consumers around the globe trust earned media more than other forms of advertising. Earned media is an unpaid form of publicity that is generated through word-of-mouth efforts. There are many forms of earned media opportunities for a business. Earned media can look like gathering unsolicited social media testimonials, positive reviews, social and media mentions, newspaper reports, etc. Unlike traditional forms of advertising, you cannot purchase earned media like you can traditional advertising options. Earned media impacts buyers more than anything else because it generally serves as a valuable and trustworthy source of information for a product. So it organically gives businesses the mileage they need. A marketing plan is a comprehensive document that gives you a broad roadmap by means of marketing strategies and tactics. 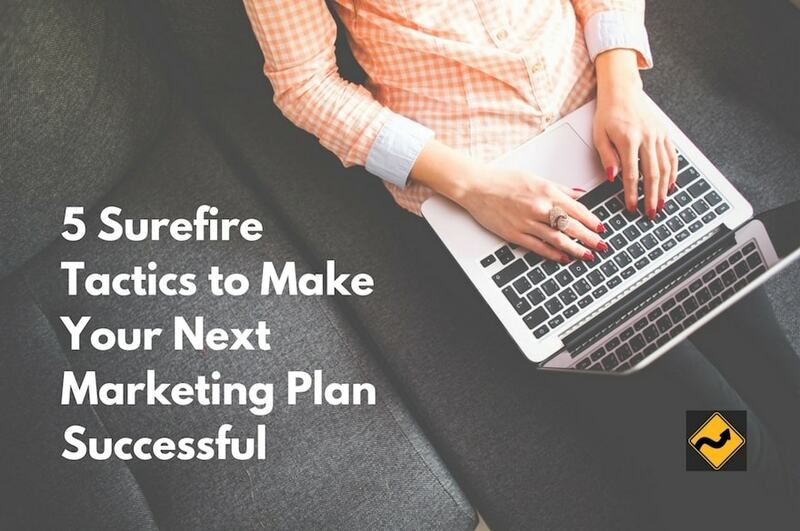 Enriching your next plan with these sure-fire tactics will promote greater levels of success. You will gain an innovative edge, clarity in your approach, and a better focus on your marketing efforts. These successful tactics will ensure your efforts are not in vain and that you can put your business’s propositions in the hearts and minds of potential customers for years to come. By following an innovative approach to marketing, your business will both attract and delight your customers, making the company itself more lucrative. Sawaram Suthar is growth hacker and founder of TheNextScoop.com blog & Jagat Media. Within a short span of time, he has helped various enterprises to increase their traffic & ROI. His expertise lies in digital marketing, SEO, and brand promotion. He is also a marketing head at Acquire. When he is not at his desk, he loves to make new connections, meet people and spend time with his family. Thanks for sharing this useful information with us as it is very helpful and also gave us a lot of information about how to make marketing plan successful. Good to know about you Sawaram Suthar. Read your article, it very neat, confusion free and well explained. Thank you for sharing this article with us. Max Lambert would love you to read ..Why Would Flyer Distribution Meet Your Business Expectations? Marketing indeed serves as the backbone of a company. It is one of the most crucial aspects that needs to be given utmost attention. Thank you for the tips. Anyways, I’ll try to adopt the multi-dimensional calendar. hi, i read your post and it contains very effective tips that can make a change to any marketing plan. thank you for the article and keep up the good work. Thanks for the insightful article on marketing and its effectiveness. A good marketing strategy can truly make a business while a bad one can break it. I really like the first point of reviewing and updating customer profiles – very important in these times of of rapidly changing times and trends. A good plan made keeping these points in mind can take a business to great heights of success and satisfaction. Arti Shah would love you to read ..Step by Step Guide: How to Book Shirdi Darshan and Arti Online? It was a great pleasure to read your blog. Definitely, an innovative approach will lead to a successful business. Planning strategies with a clear approach will give an edge in business. Loved reading your article.